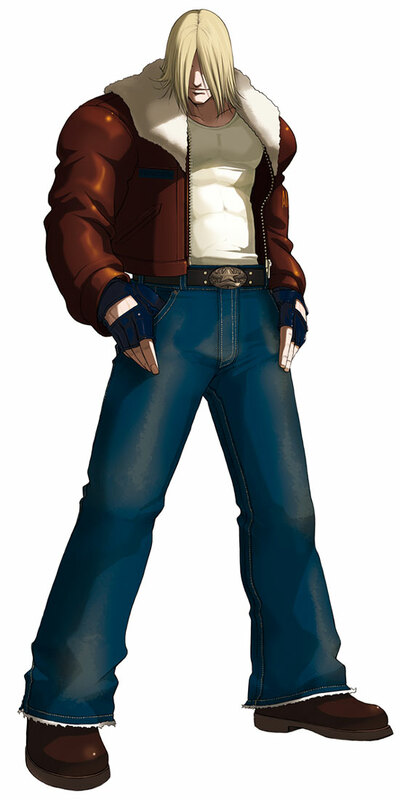 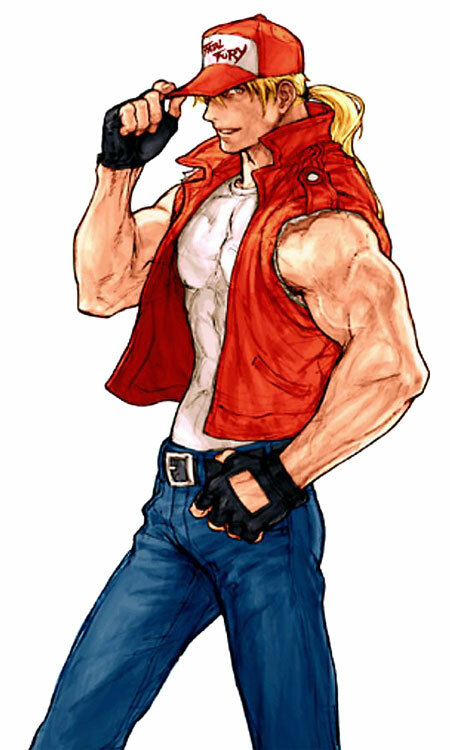 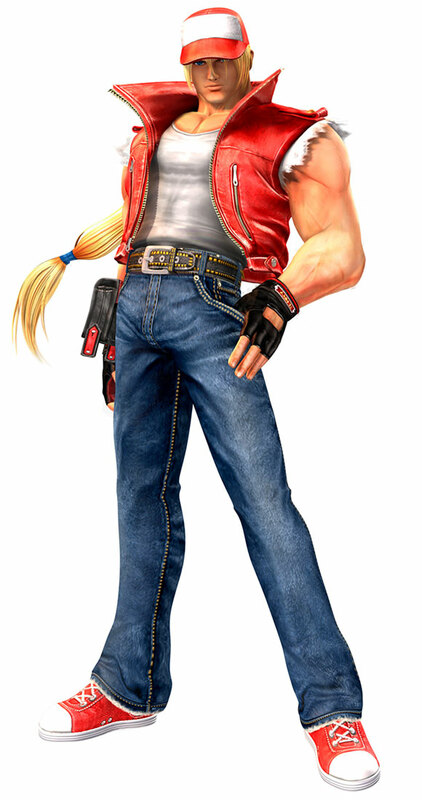 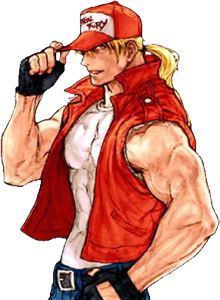 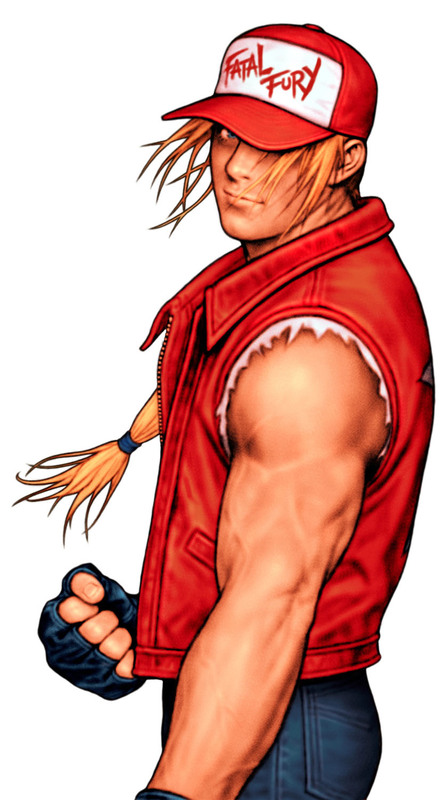 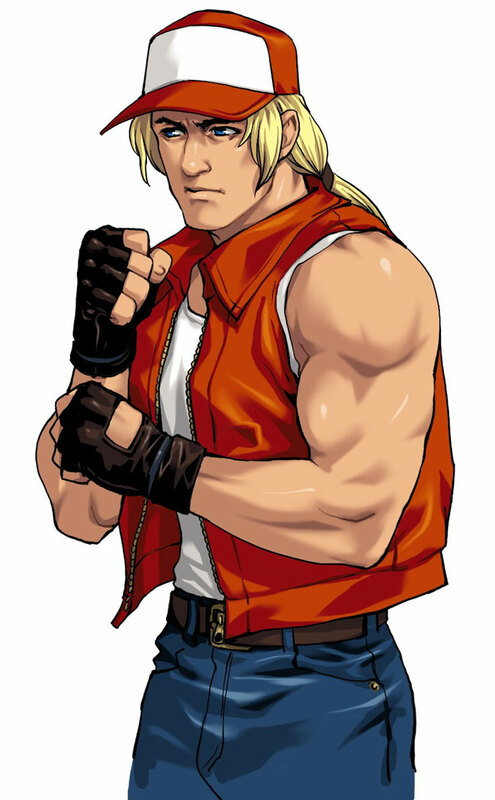 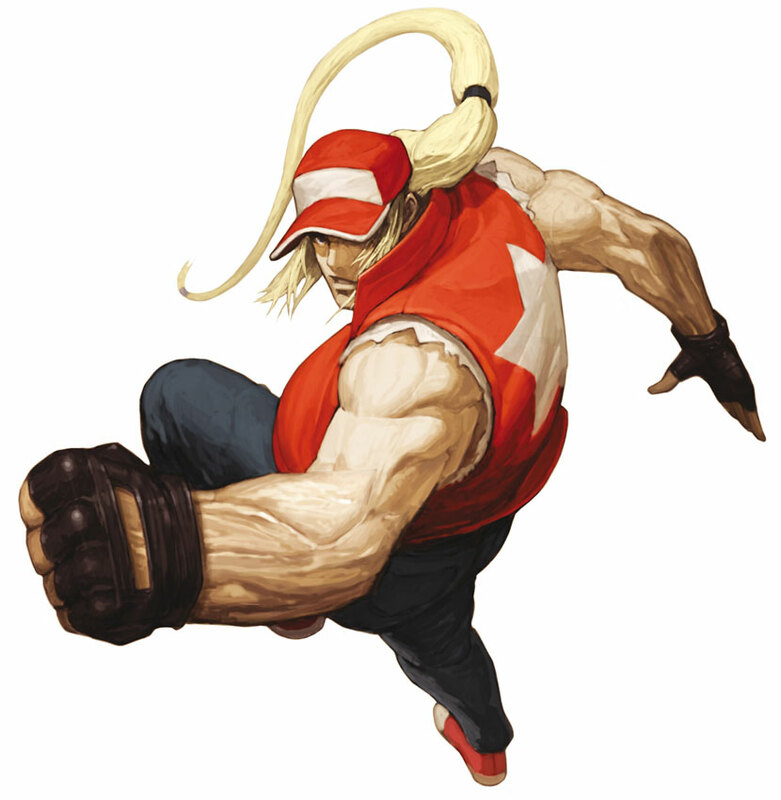 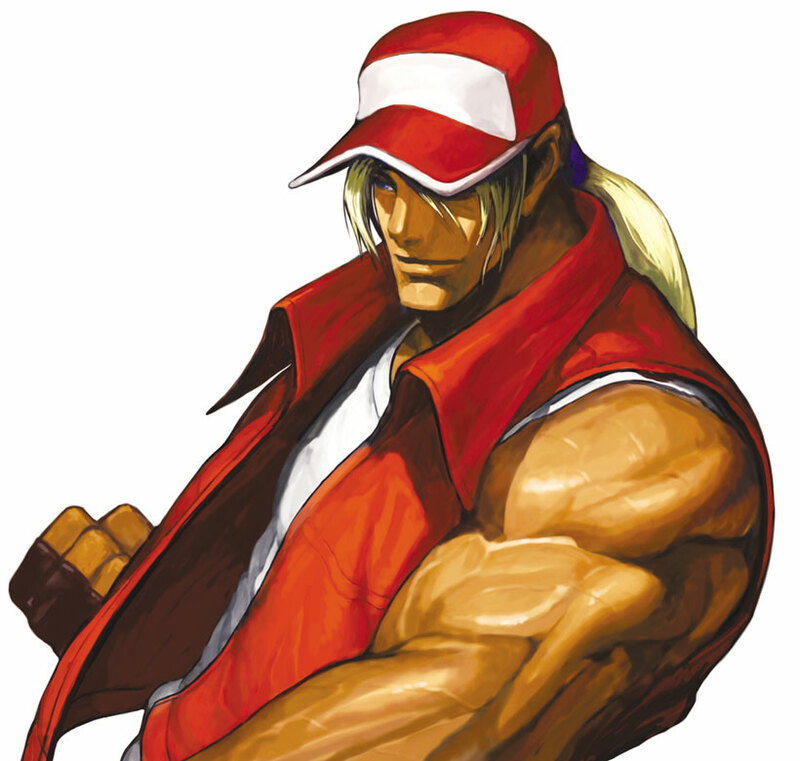 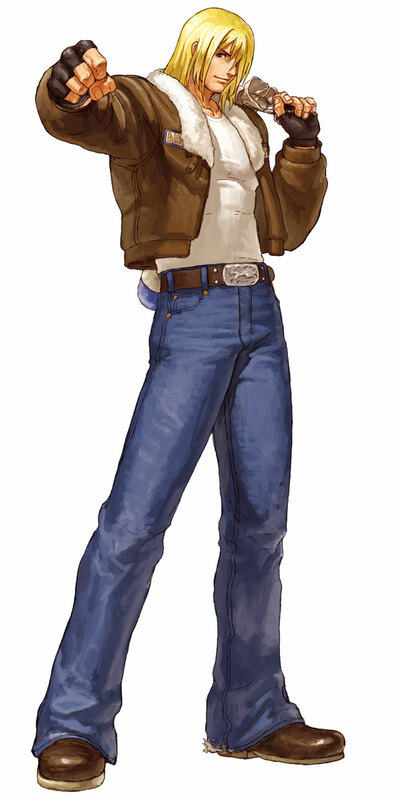 Terry Bogard is the main hero of the Fatal Fury/Garou Densetsu fighting games by SNK which started in 1991 in the Arcades and on the NeoGeo console. 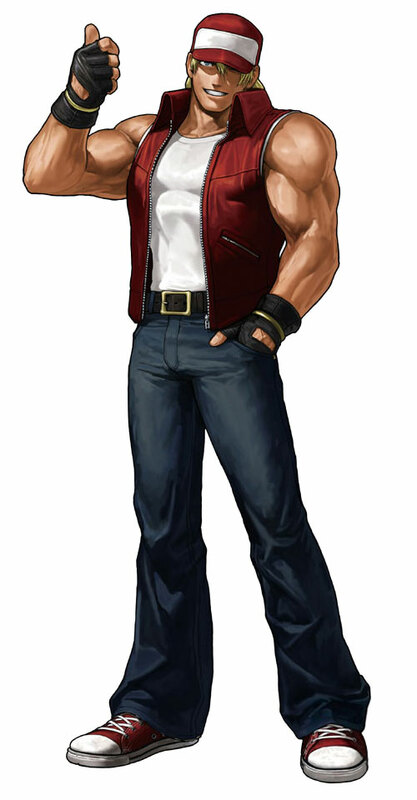 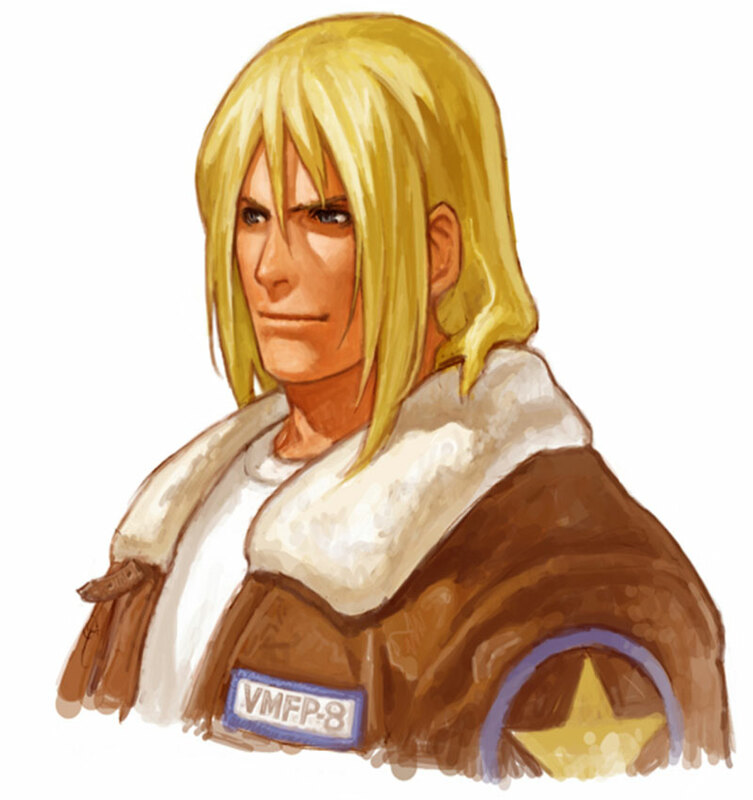 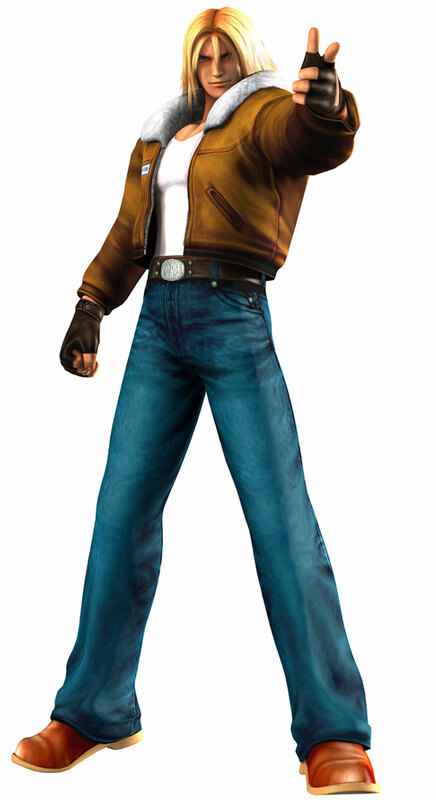 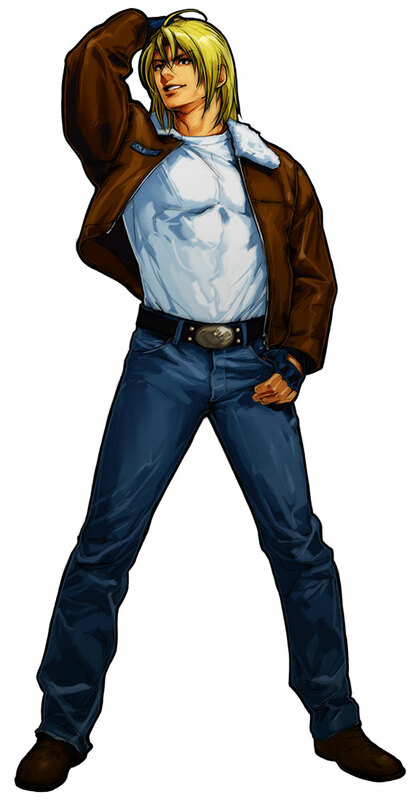 He was also the main hero in King of Fighters ’94, but lost that role to Kyo Kusanagi later, he returned in all King of Fighters games, Neo Geo Coliseum, Capcom Vs SNK 1+2, SNK Vs Capcom, all Card Clash Fighters games, and is one of SNK`s most known characters till today. 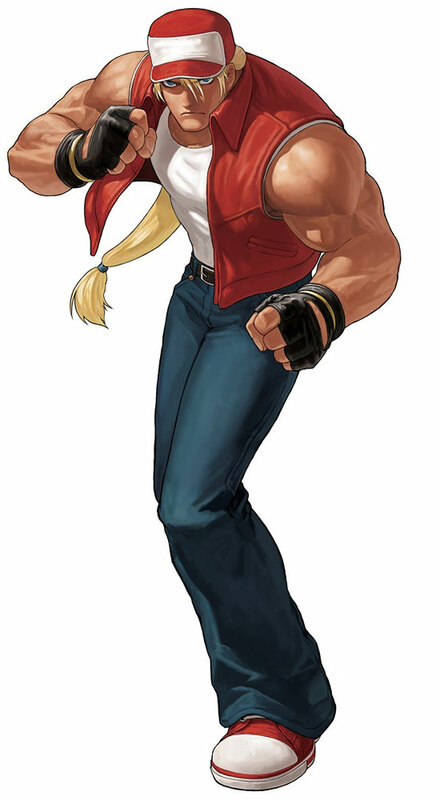 He is a guest character in Fighting EX Layer (2018) and a female version of him is playable in SNK Heroines: Tag Team Frenzy (2018). 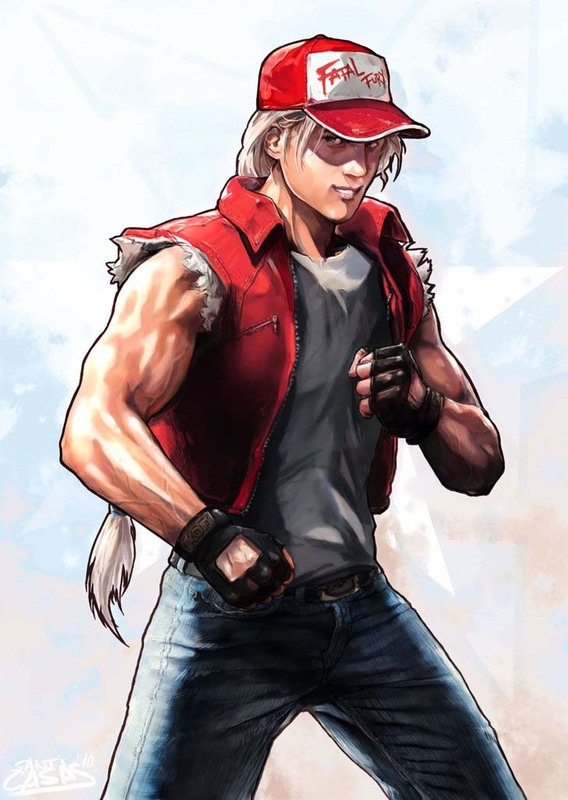 Some of his special moves like the “Buster Wulf” are accompanied by so awesome lines like “ARE YOU OKAY?” right before he smashes his opponents. 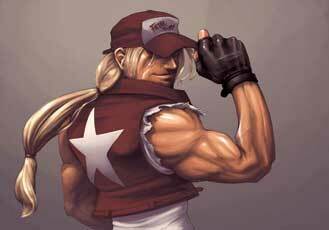 These made Terry Bogard quite a cult character. 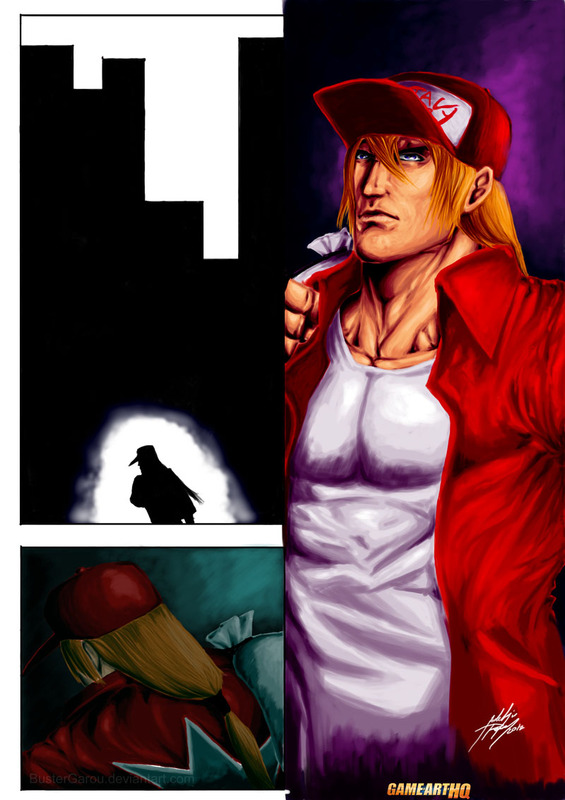 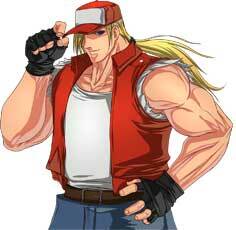 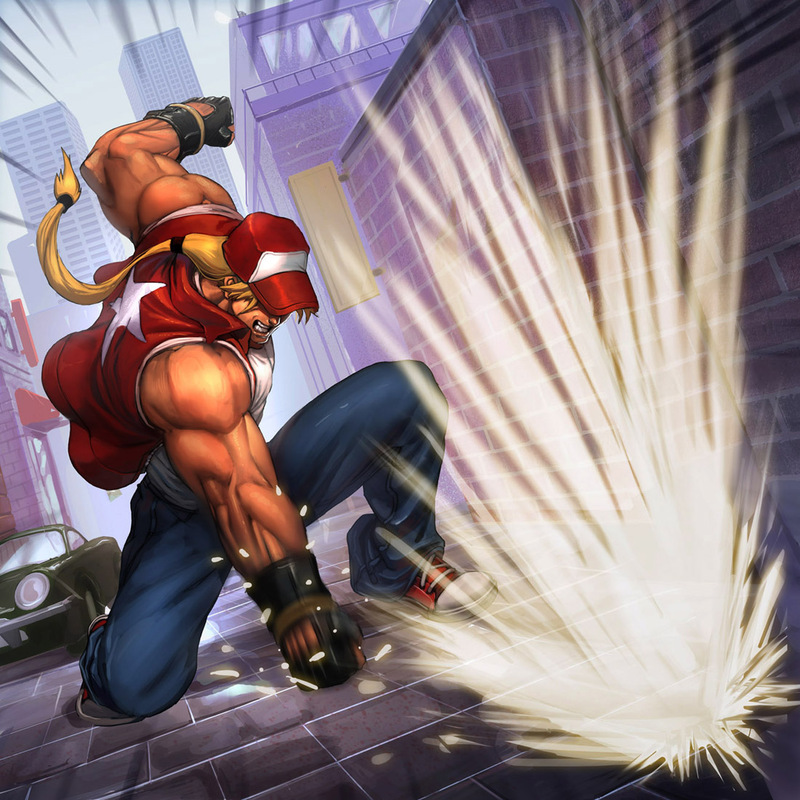 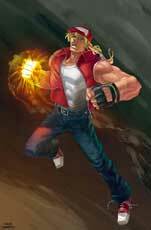 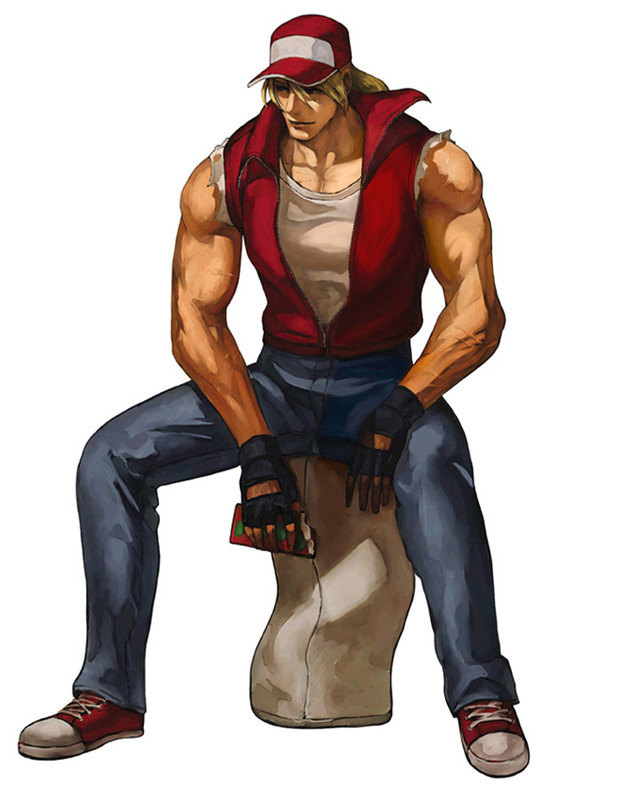 Terry Bogard is not yet a part of a Game-Art-HQ Community Art Collaboration..and that needs to change! 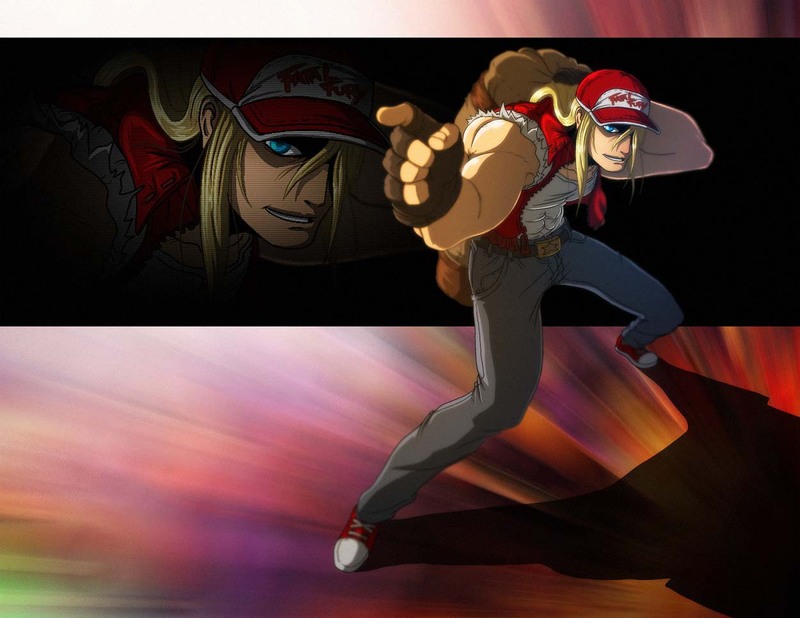 06.08.2018 – Info added about Terry Bogard being a guest character in Fighting EX Layer and his..different version in the SNK Heroines game.